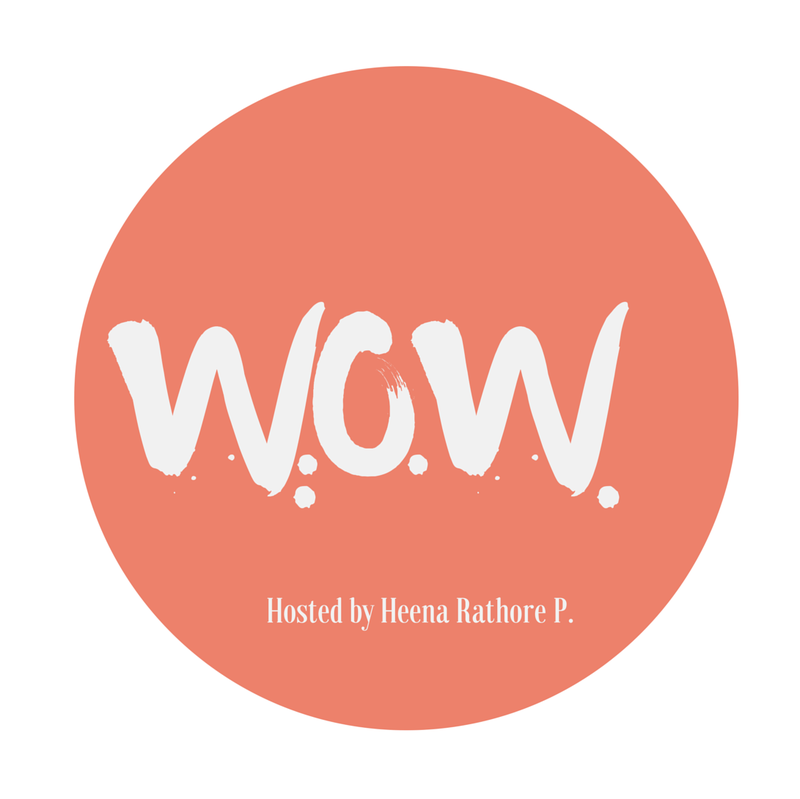 Word Of The Week (WOW #37) – Heena Rathore P.
November 30, 2015 December 12, 2015 by Heena Rathore P.
A mode of behaviour or way of thought peculiar to an individual. A distinctive or peculiar feature or characteristic of a place or thing. An abnormal physical reaction by an individual to a food or drug. Peculiarity, mannerism, fancy, fad, vagary. Early 17th century (originally in the sense ‘physical constitution peculiar to an individual’): from Greek idiosunkrasia, from idios ‘own, private’ + sun ‘with’ + krasis ‘mixture’. One of his little idiosyncrasies was always preferring to be in the car first. The idiosyncrasies of the prison system. Out of the 3 agents that asked for my MS 2 are the best in India, so I’m awaiting their response before taking the final decision. (And I’m hoping to get a deal for my second book as well.) Fingers crossed! I hope all is well at your end as well 🙂 Sorry for not being able to visit your blog, last month was a chaos! Diwali and guests tend to do this to you, don’t they! Hehe! That is all wonderful news, Heena, and Im so happy for you. To have three agents ask for your MS shows how good they think it is! And yes, it takes the problem of getting it edited out of your hands. Well done! I wish you every success with your second book , too. Once the first book is published, I would think it would be much easier to do the same with the second one. I hope you had a wonderful Diwali. Cities in the U.K., like Leicester, celebrate it in a huge way. It’s great to celebrate with family and friends. Really!? That’s great. I had no idea that Diwali was celebrated all over the world (a lot of my friends from other countries also told me that they celebrate it.) This world is really a peaceful and loving place! I’m just waiting for Christmas now. I ‘ve studied in a Convent school (with its origins in France) for almost 12 years and we always used to celebrate Christmas on 23rd as after that the holidays began and as a beautiful coincidence, my b’day falls on 23rd so all the sisters used to call me a Christmas baby and so, I used to get extra pastries and cookies from each one of them…lol. I always used to be one of the angels with a big white frock and beautiful white wings… Those were the days! I hope you and your family a very happy holiday season! How lovely to be a Christmas baby! It must be a really special time for you. It will be a great time for you to celebrate your success with your book!